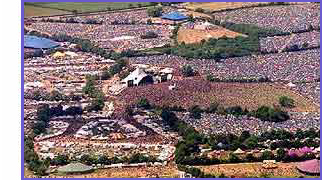 Glastonbury Forum: The Wurzels Cancel! The Wurzels have pulled out of Glastonbury festival saying they are unhappy with the stage they have been billed to play on. The band, from Somerset, said playing on the bandstand means they cannot use their own sound engineers. "We would have loved to play but we don't feel it's right," said Tommy Banner from the band. But as the organisers of Glastonbury Festival are putting on the finishing touches into place Emily Eavis said it was too last minute to start moving things around. The Wurzels say they will play next year but only if they are offered a better deal.